In both cases of preassembling an IT equipment rack to ship, or shipping your own network racks, you want to make sure that the rack or cabinet itself is sturdy enough to make the trip. You want to make sure that your racks and cabinets are equipped to survive the trip with proper support. Also, you want to ensure that they are delivered safely to the new space with an easy installation process after the trip. Here are the challenges to beware of during the journey. 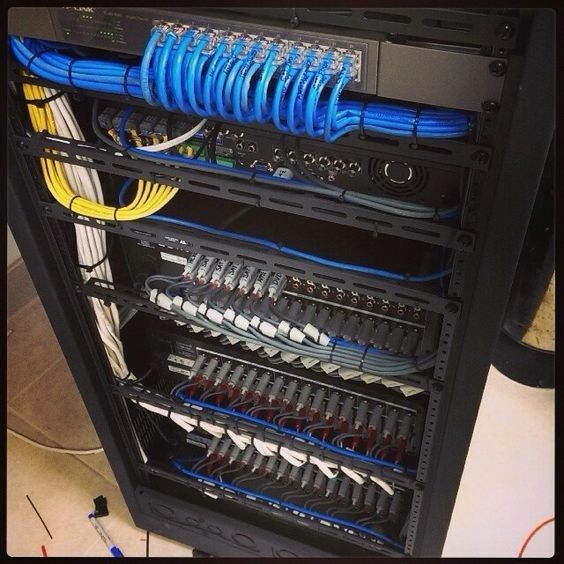 If the IT equipment rack or cabinet does not have the appropriate load rating, then the structure can warp or buckle, and damage the servers and rack accessories. You want a four-rail rack with sturdy cross bracing. If you are doing a rack and stack project, then you can purchase an appropriate rack to populate before shipping the equipment. If you are shipping your own network racks and cabinets, you may have to transfer equipment to a rack or cabinet that can make the trip. Even if your rack has the appropriate dynamic load rating, the casters beneath it could fail. You will want to make sure that you have heavy duty, load bearing casters for transportation. During the shipping process, your equipment can get severely damaged without shock pallets. They absorb the shocks from the bumpy ride. Tip guards are a pertinent investment for traveling with fully populated racks and cabinets; if the racks tip more than 15-30°, then expensive equipment could be damaged. Installing environmental sensors inside the trailer is also worth considering to monitor the climate inside the trailer during travel and to mitigate harsh conditions and moisture along the way. Confirm the appointment the day before with the people in charge of picking up the equipment and delivering it to the new location. Make sure that they have unobstructed access to the loading dock to better facilitate the move. Have a truck with a lift gate to meet up with the dock to ensure that racks and cabinets can be smoothly rolled into the trailer onto the shock pallet without unnecessary bumps and gaps to possibly warp the rack structure. Plan ahead of time with the delivery site to have an unobstructed delivery area so that racks and cabinets can quickly be unloaded and relocated in the new server room space.